It has been raining quite a bit and the forecast looks like it will continue for a while. 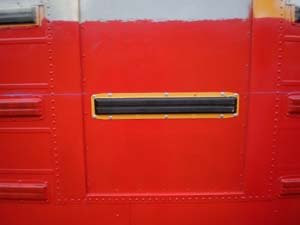 We may not get the rest of the paint done till late next week or until things clear up. 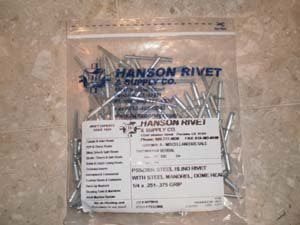 Late yesterday UPS delivered my 1/4" rivets. Today my main goal was to finish the body panel. 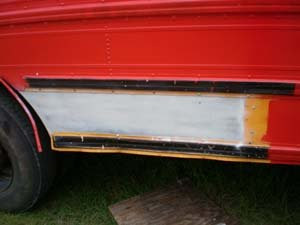 Here is a picture of the panel primed before any rivets were installed. 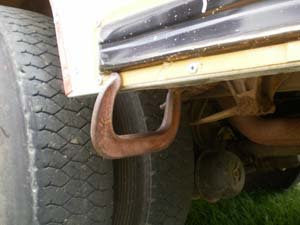 The sheet metal guy had made me 2 brackets for supporting the metal just like the ones that had been there before. I removed 2 of the old ones because they were loose and bent. 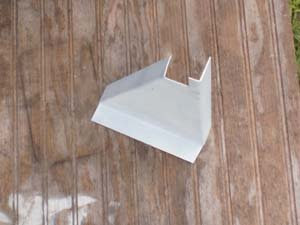 Here is what the undamaged stock brackets look like. 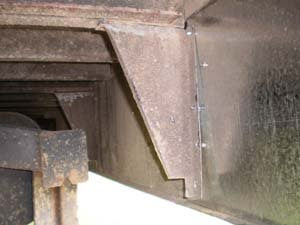 Here is where a new bracket will be installed. Here are the new brackets installed. I was able to use the existing holes in the frame to rivet the new brackets in place. 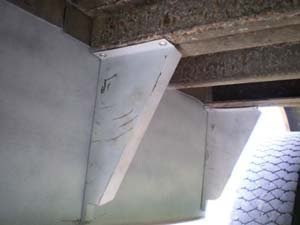 Next we riveted the panel in place attaching the metal to the brackets and the bottom portion of the top rub guard. 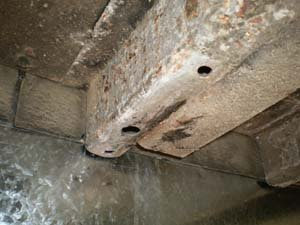 We then riveted the once loose wheel well trim piece. 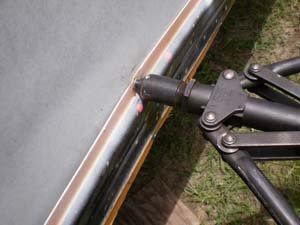 Next we attached the bottom rub rail. This took some time to do because it was bent up pretty bad. If I could have found a new rub rail I would have replaced that too. We had to use one clamp to keep pressure on the rail and used another (not seen in pic.) to bring it down so we could rivet it in place. Now the new panel is successfully completed. After paint I don't think the bent rub rail will be to noticeable. 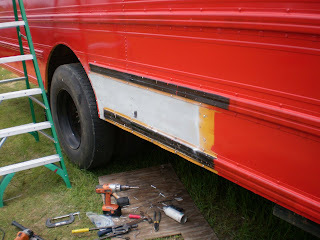 Next I installed the rub rail that I took off the side exit door over the now covered Emergency Exit. 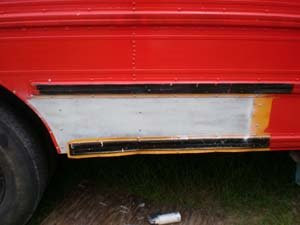 I hope that this will blend this part of the bus in with the rest and make the door frame less noticeable. It is now primed and ready for paint.